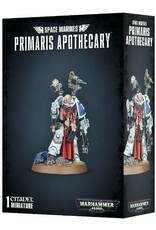 Amongst the most honoured Space Marines of a Chapter are its Apothecaries. It is their role to to mind the physical well-being of their battle-brothers – this is seen most obviously on the battlefield, where an Apothecary serves as an emergency medic. Their most important duty, though, concerns the dead; an Apothecary can harvest the progenoid organs from a fallen Space Marine, ensuring the creation of further warriors and the continuation of the Chapter. 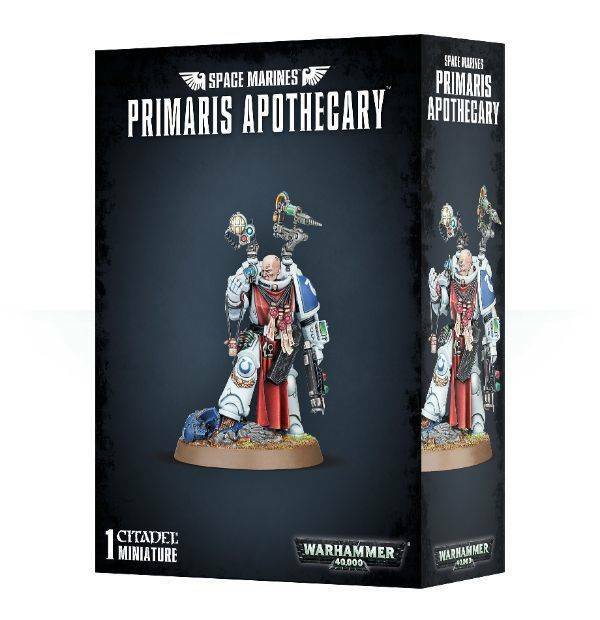 The Primaris Apothecary comes as 28 components, and is supplied with a Citadel 40mm Round base. The kit also includes a Ultramarines-Character Transfer Sheet, which features Captain, Chaplain, Librarian and Lieutenant iconography.